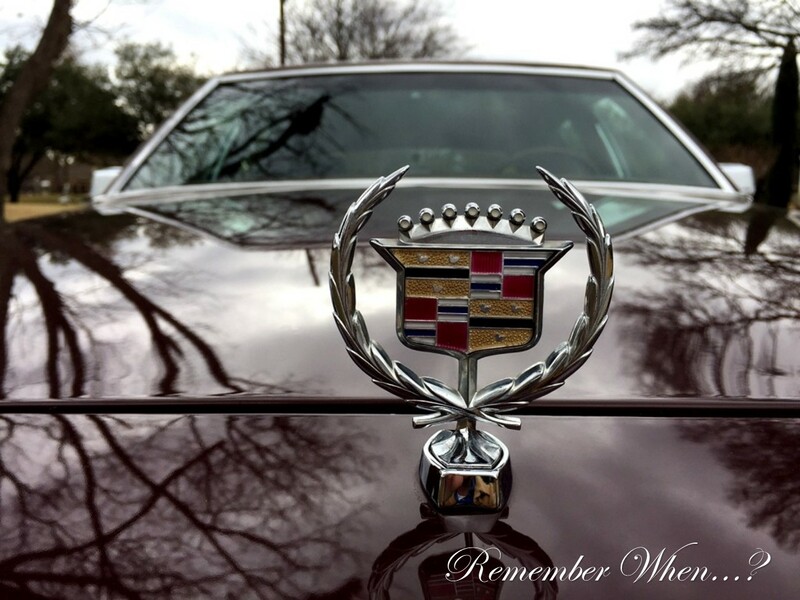 Posted September 24, 2017 by 99MilesPerHour	"As the Standard of the World Turns"
Oh…that Cadillac Style. Robust full-size luxury never looked more impressive. Every luxury sedan has a signature…a flair for the dramatic. 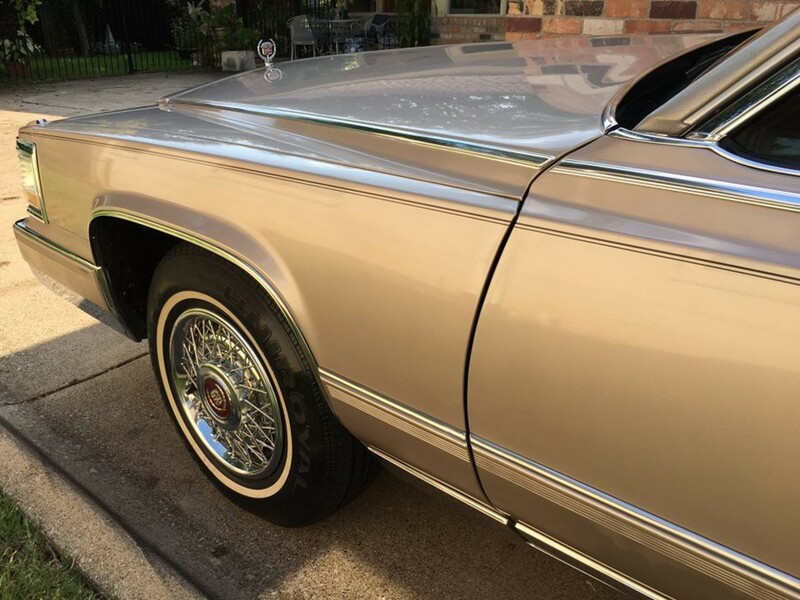 Cadillac Brougham evokes a unique je ne sais quoi no other luxury car can replicate. 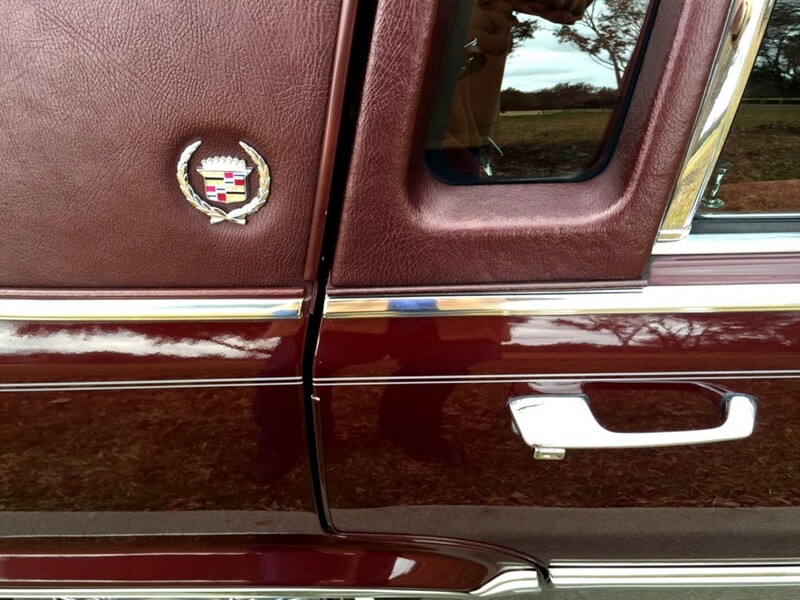 It is the ‘traditional’ Cadillac that established its reputation in the luxury car arena. Experienced artisans built each car as if it was for their very own use. 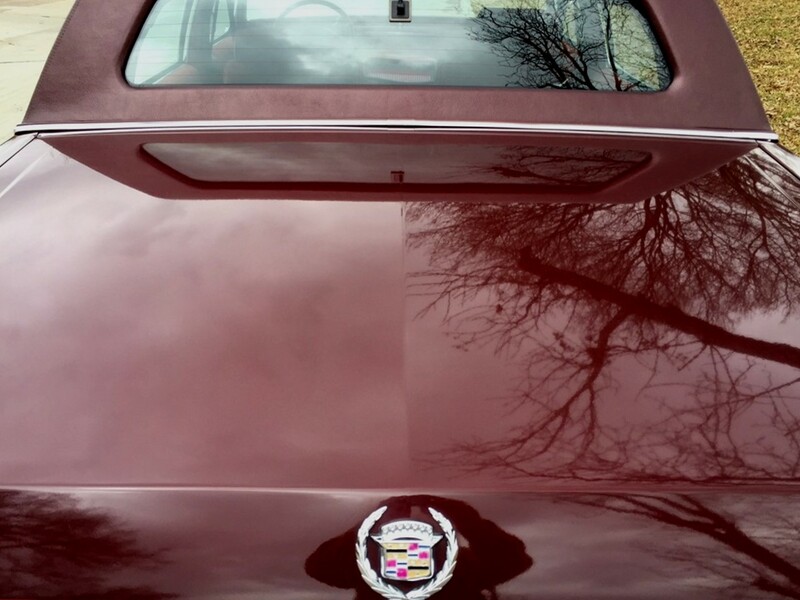 Every traditional Cadillac motorcar was crafted to absolute perfection, catapulting the brand to “Standard of the World” status. 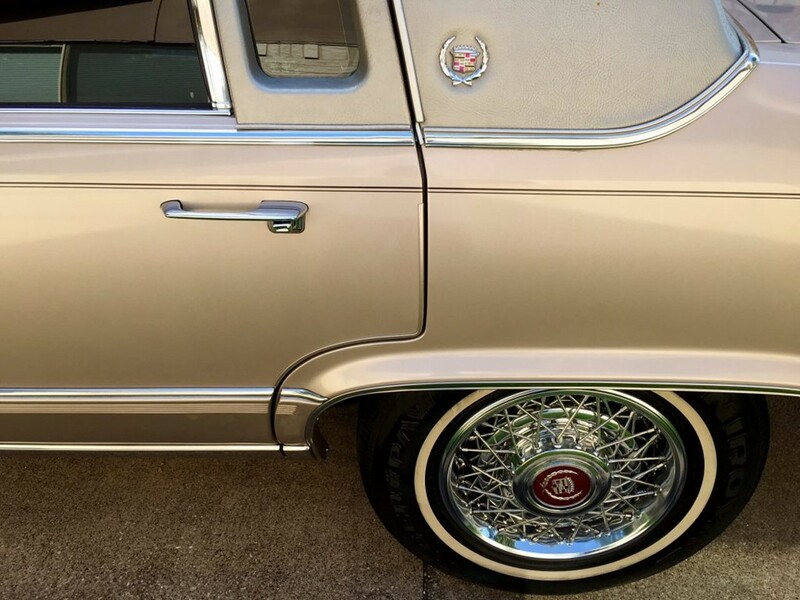 Cadillac Brougham fervently adheres to full-frame, front engine rear-wheel drive virtues – as a traditional luxury car should. 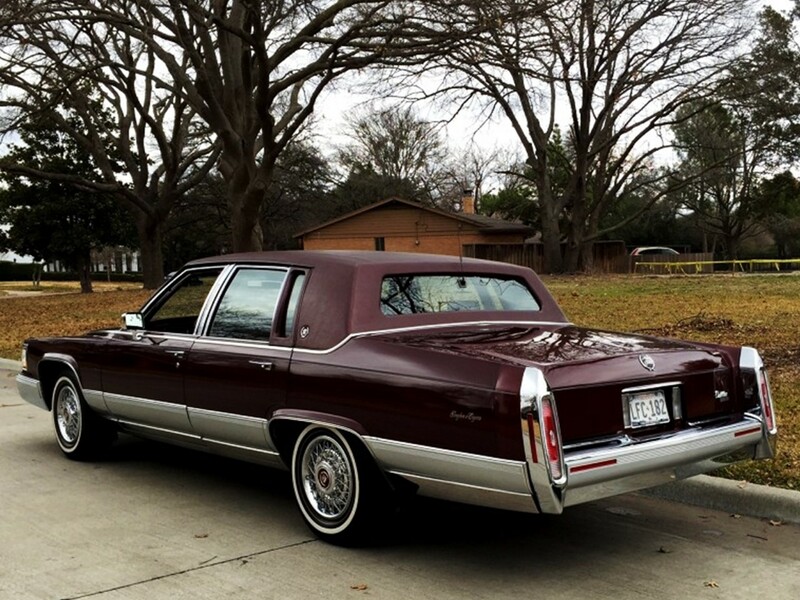 The majestic Cadillac Brougham Sedan d’Elegance is the definitive status symbol. It’s designed as a motorcar of eminence. 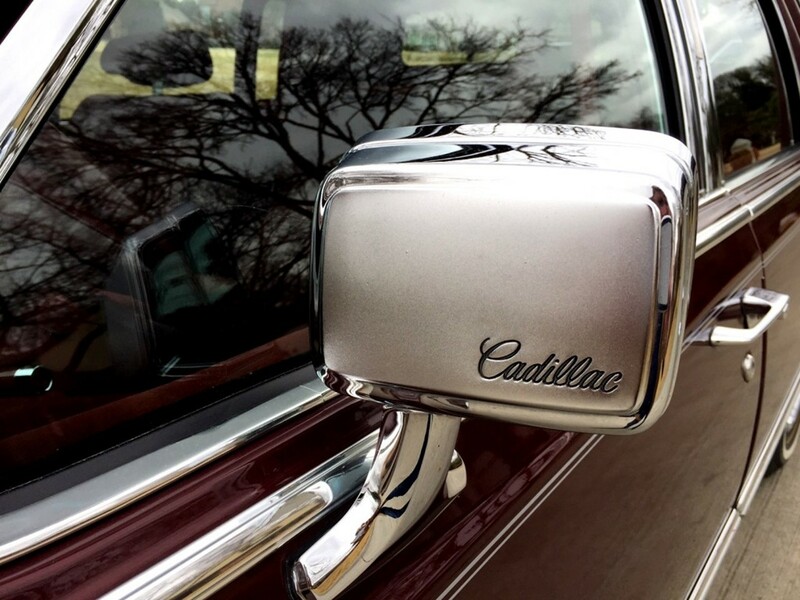 A host of options and personal conveniences make Cadillac unique among luxury automobiles. 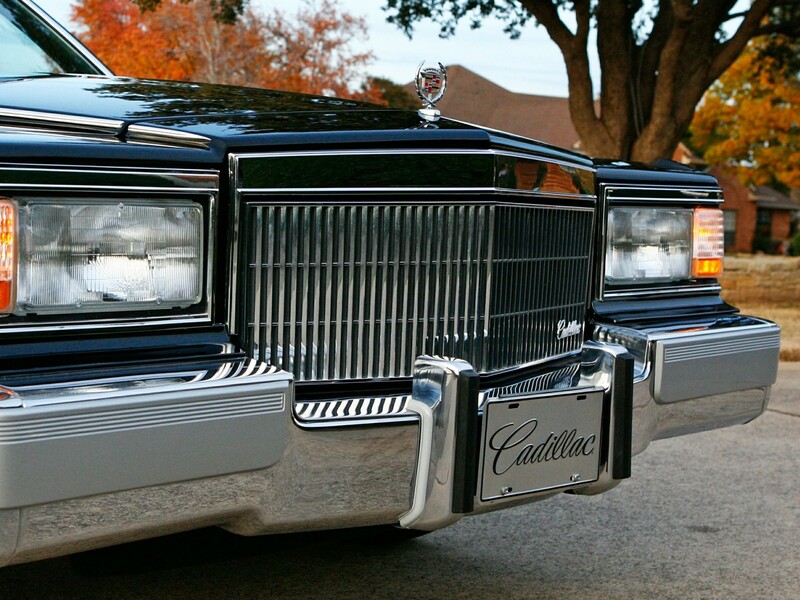 Cadillac Brougham represents a supreme achievement in grand and gracious motoring. 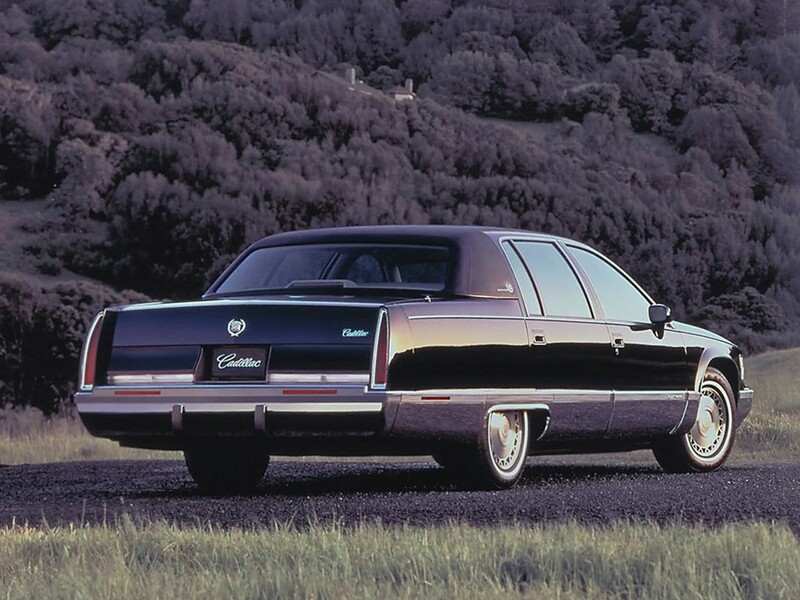 Their sumptuous dignity resulted as a singularly successful concept in luxury sedans. 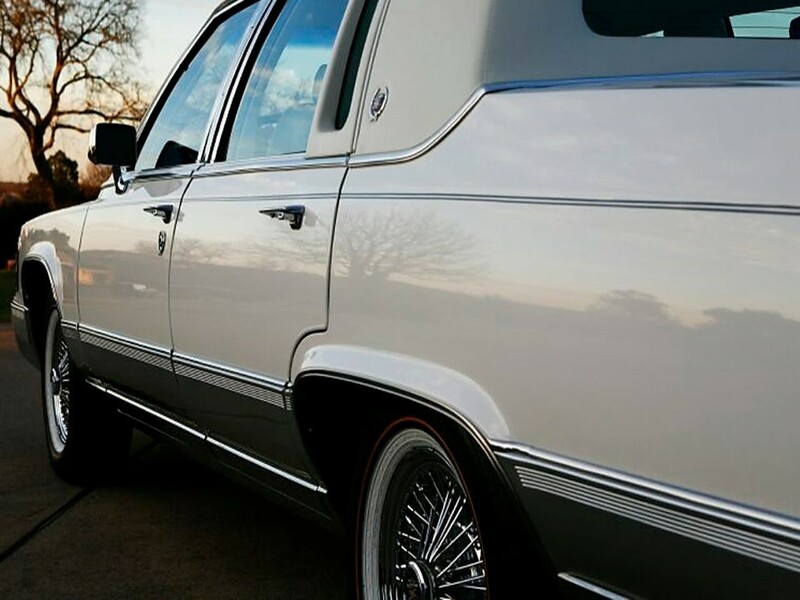 From 1965 through 1996, the Fleetwood Brougham reigned supreme in all of motordom…there’s been nothing else like it on the road – and never will be. 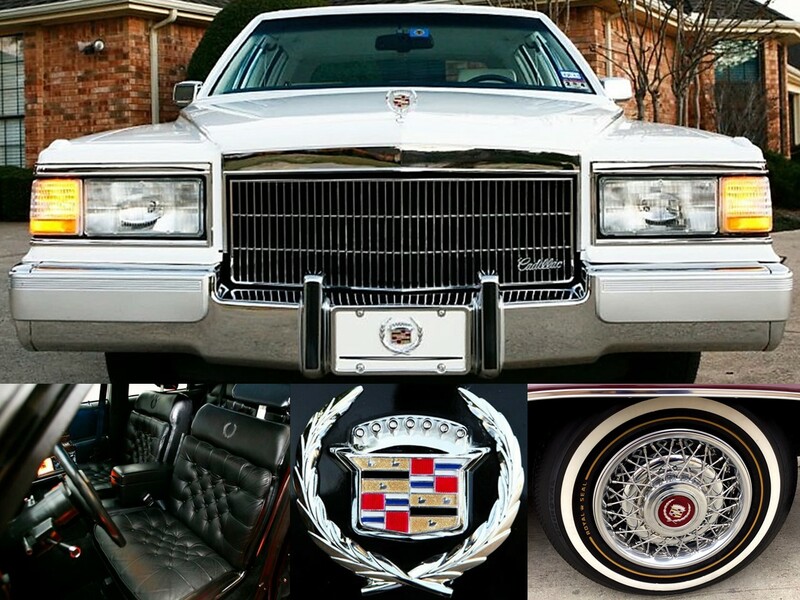 This is one of the most fondly remembered Cadillac luxury sedans from the genre. The basic architecture was introduced in 1980. 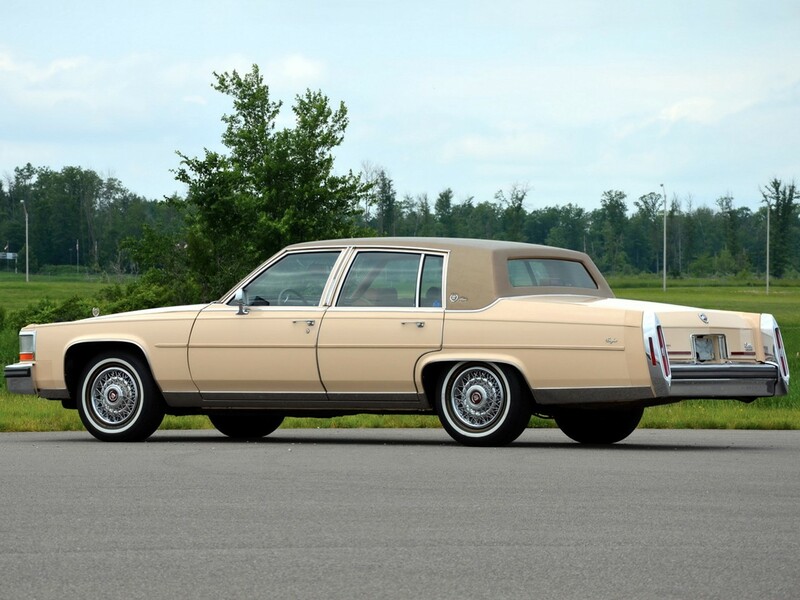 It is shared by Fleetwood and DeVille two and four door models from 1980 up to and including the 1984 model year for DeVille. 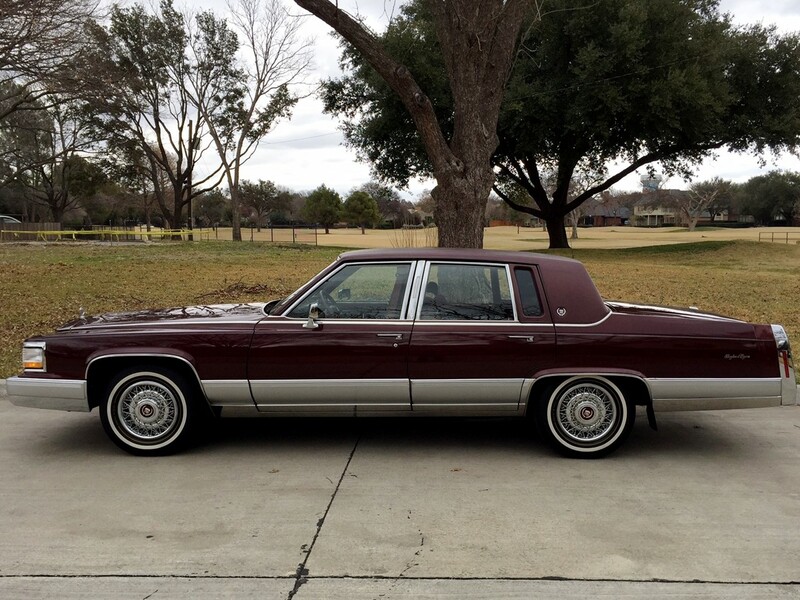 The same platform/architecture continued through the 1986 model year badged as “Fleetwood” models. 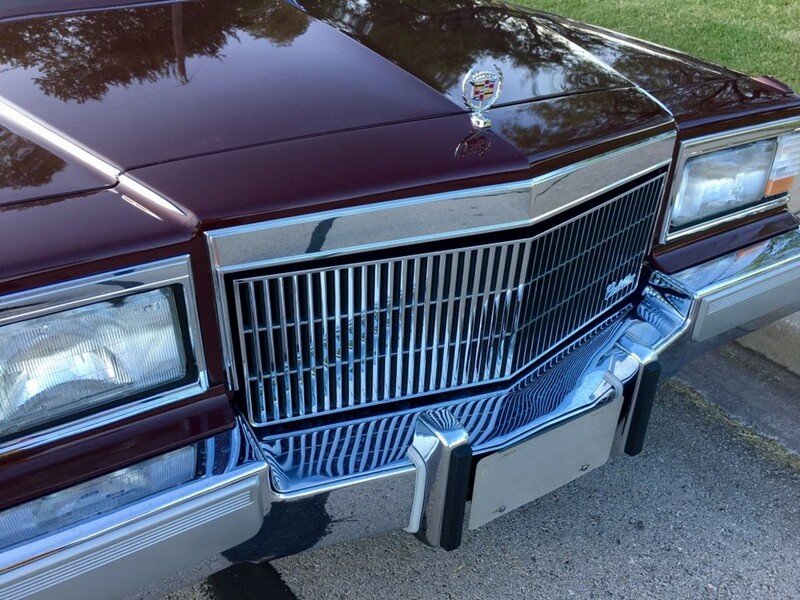 The Brougham became its own series continuing that Cadillac poised dignity. 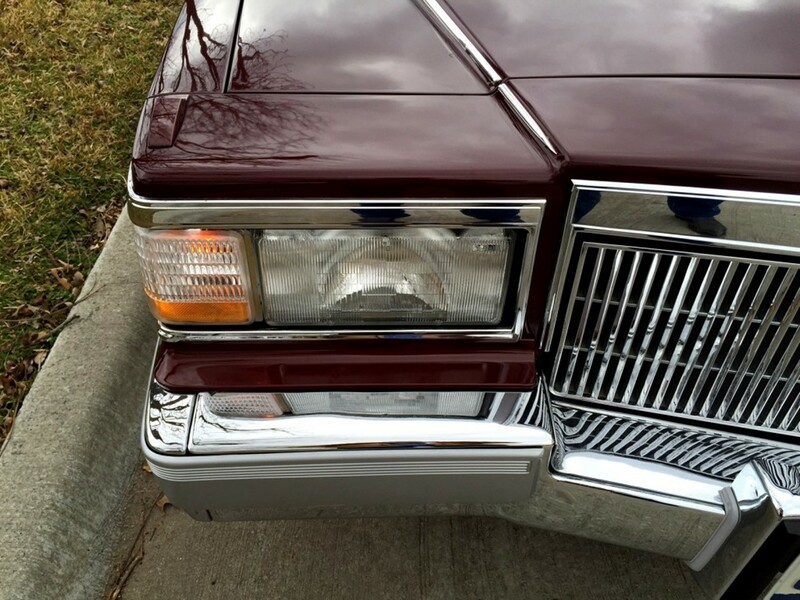 It was no longer a member of the Fleetwood series from 1987 through the 1992 model year. 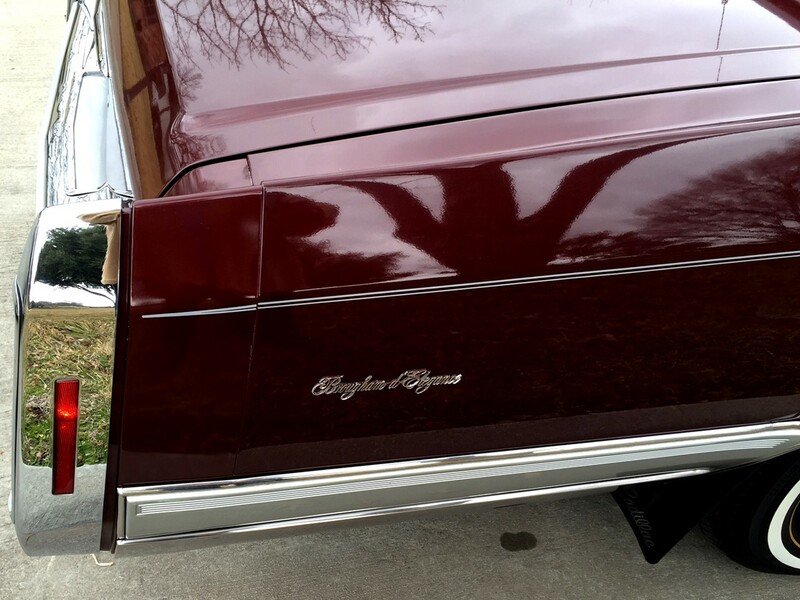 The model is simply known as the “Brougham.” It remained the epitome of luxury and elegance. 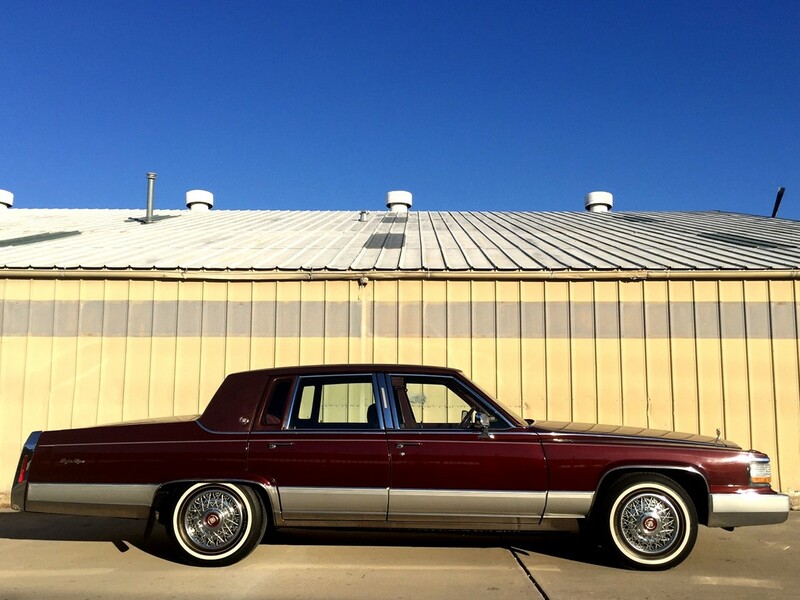 So…what could be more luxurious than a Cadillac Brougham? 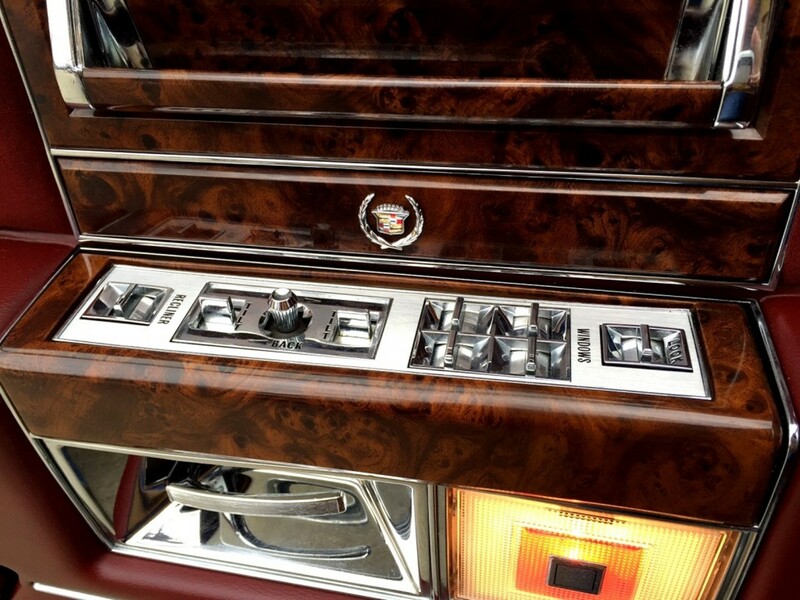 The sumptuous Cadillac Brougham Sedan d’Elegance redefines luxury to an even higher degree. 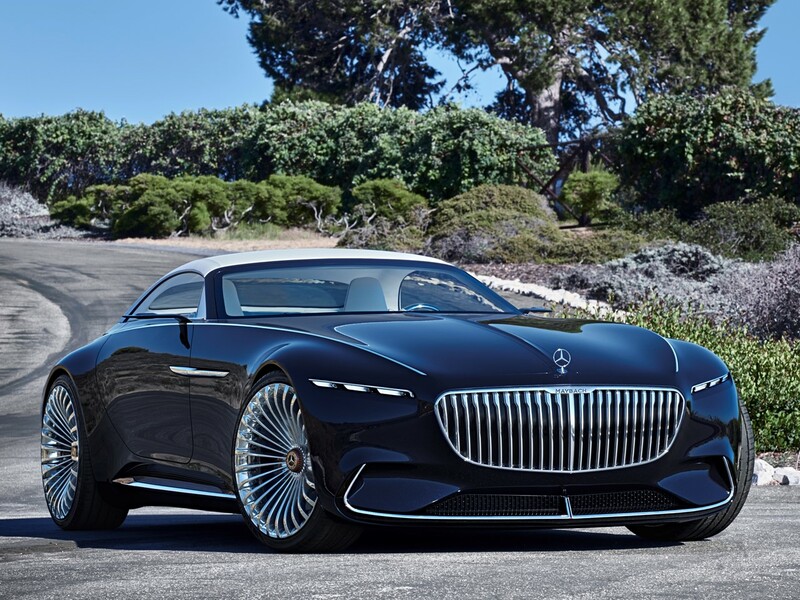 Is it denial or deception that dictates the design of today’s luxury cars? 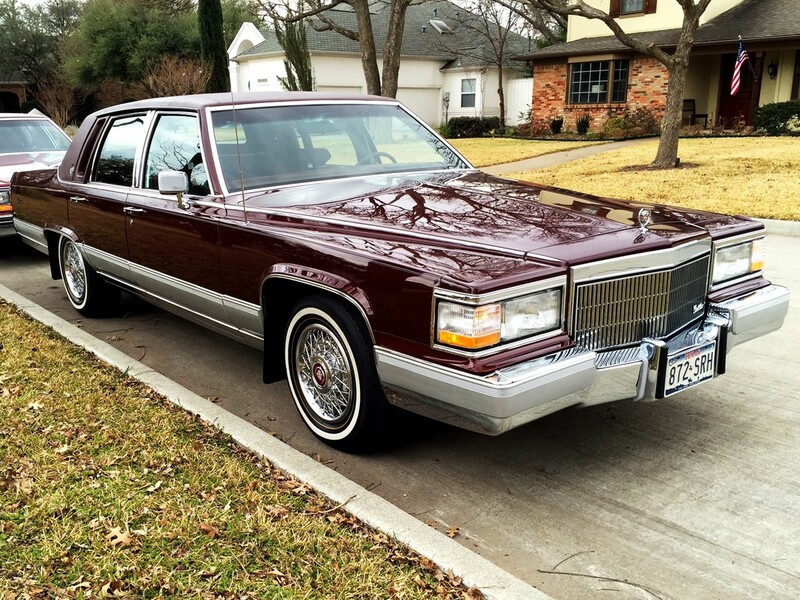 Seems the designers have the inclination nor the imagination to even contemplate what a ‘true’ luxury car enthusiast wants in a” luxury car.” For 1991, the Cadillac Brougham Sedan d’Elegance gave luxury car buyers the sophistication they desired: an elegant full-size luxury saloon of distinction. 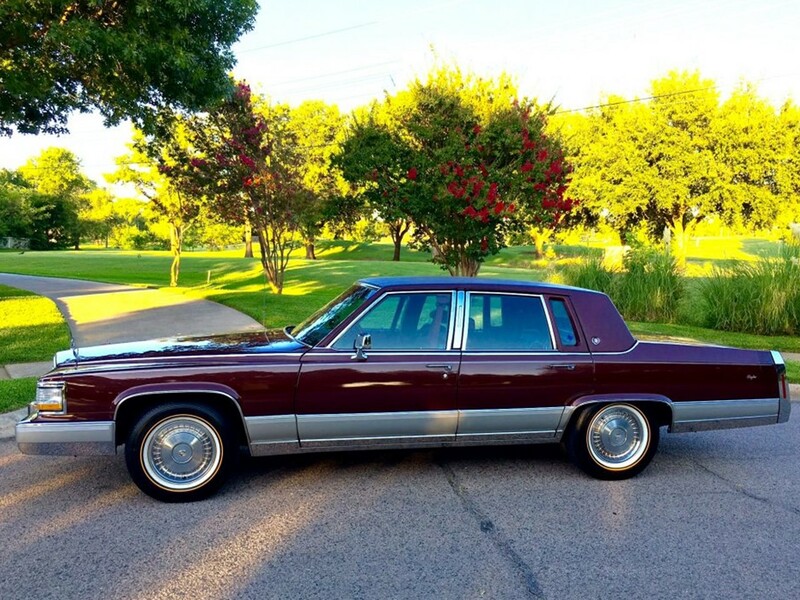 Model series #DW5 body style code #W69 1991 Cadillac Brougham 4-door sedan had a base price of $30,225 – $30,875 USD with a base shipping weight of 4,282 pounds and 27,231 were built. 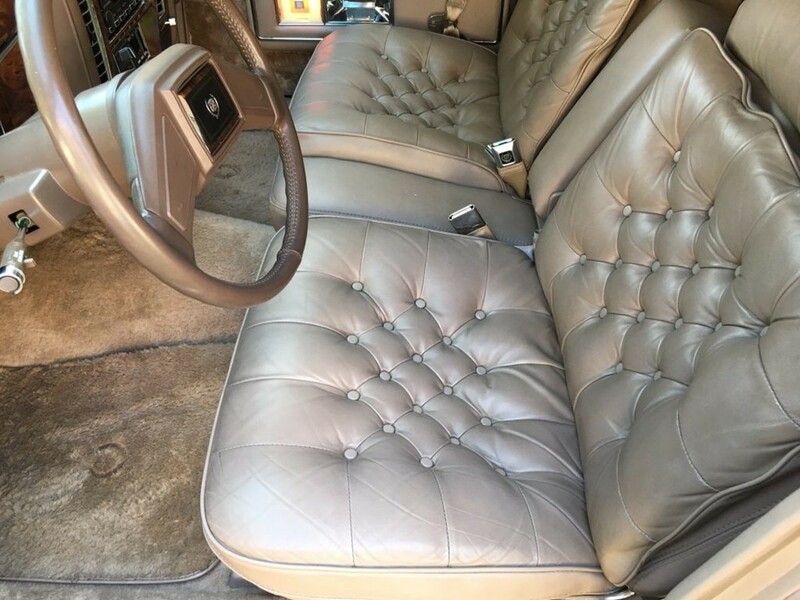 The exclusive d’Elegance option was priced at $2445 with leather trim and $1875 with cloth trim. 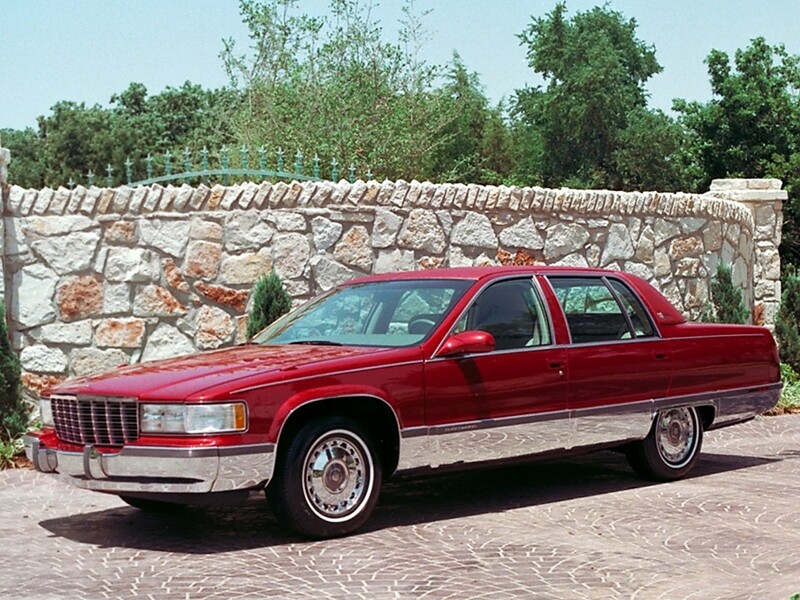 The 1991 Cadillac Brougham was the largest passenger regular production car built in the land. 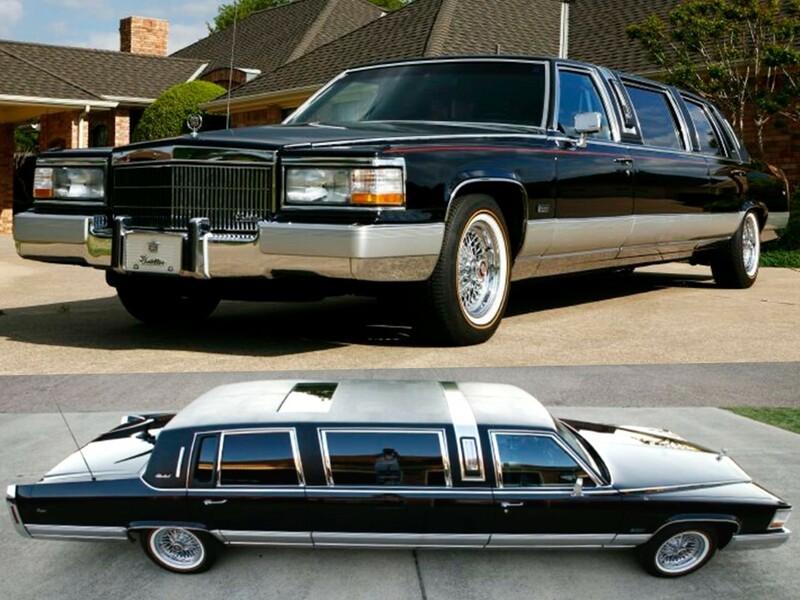 It has the luxury length of 221”. It rides upon a long 121.5” wheelbase and is an impressive 76.5” wide. 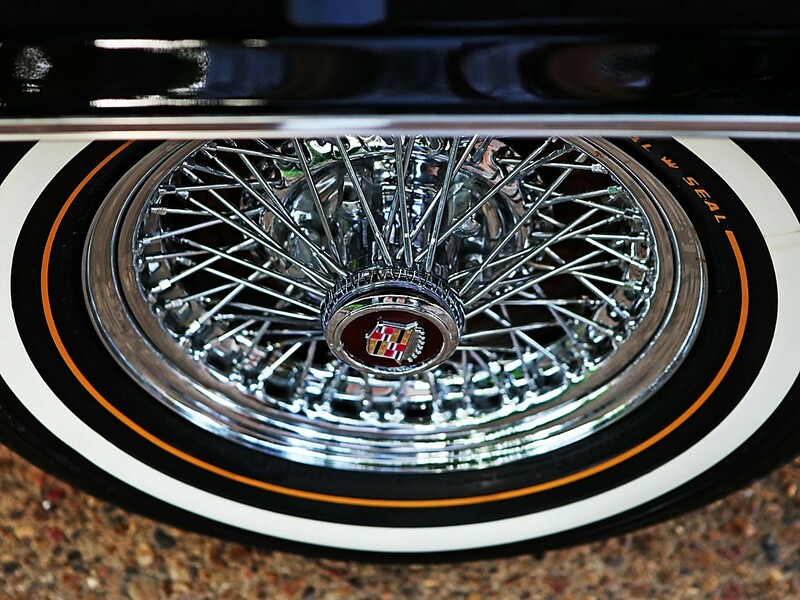 Cadillac Brougham was factory-fitted with Michelin P225/75R15 radial ply white sidewall tires. 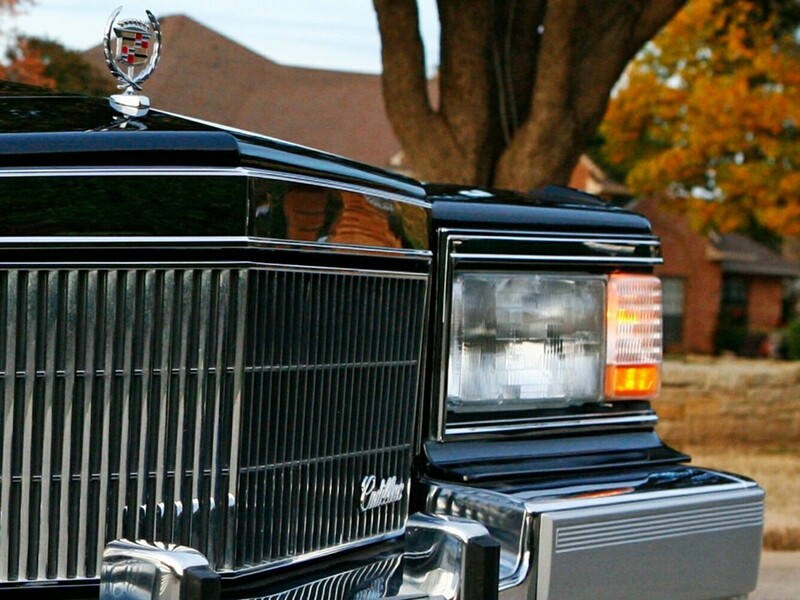 A Cadillac Brougham features uncompromised luxury and elegance – Cadillac Style. 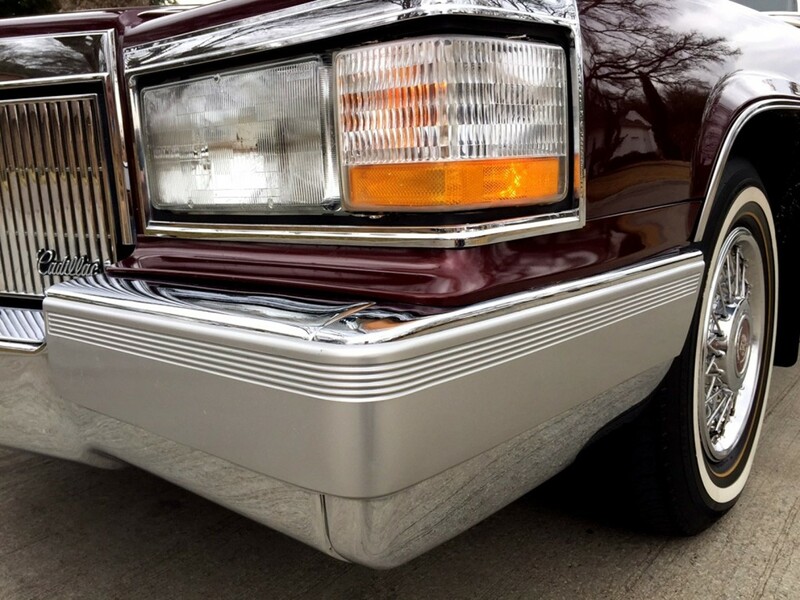 Brougham is the contemporary classic. It received modest refinement for the 1991 model year. Its beautiful architecture includes clear coat paint as standard equipment. 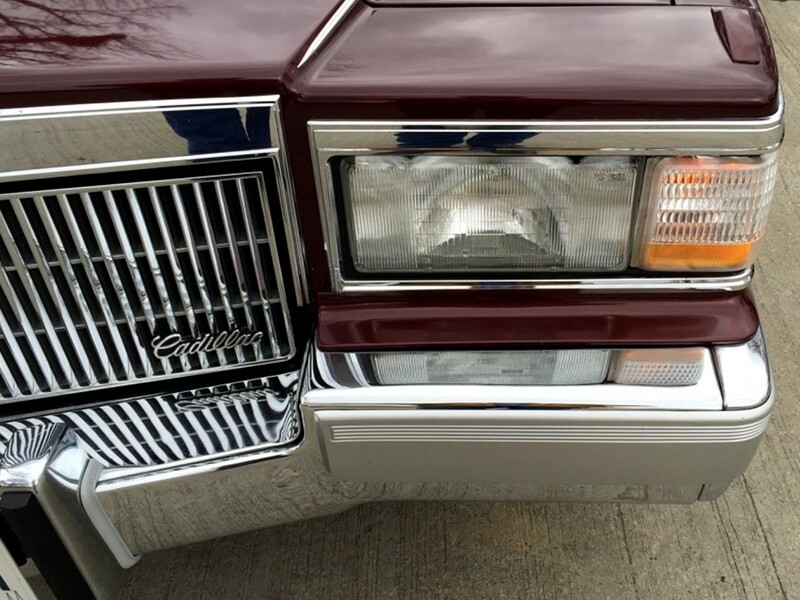 Brougham’s front-end ensemble is augmented by modular one-piece composite headlamp/cornering lamp units. 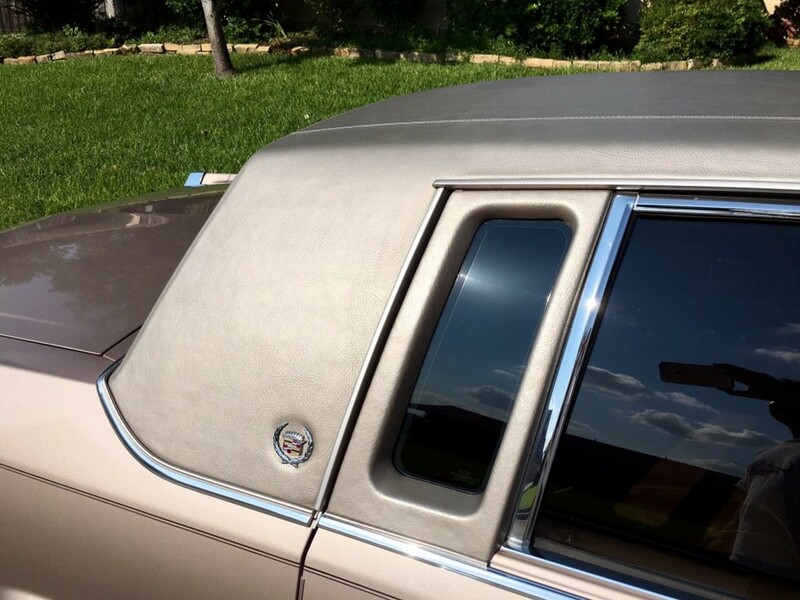 Its massive chrome bumper is highlighted with bumper impact strips that are coordinated to handsome body side cladding spanning the lower quarter panels. 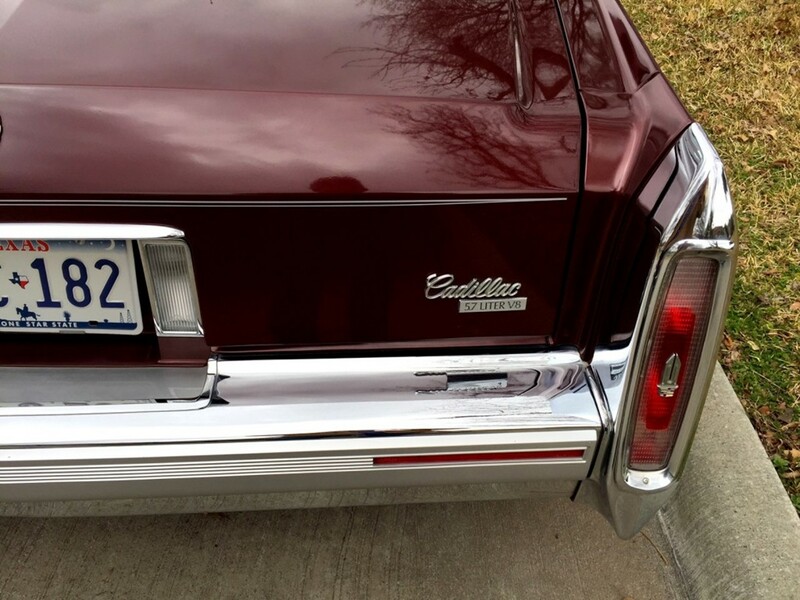 Large jewel-like tail lamps are set into chrome bumper end caps to hint at the iconic Cadillac tail fins. 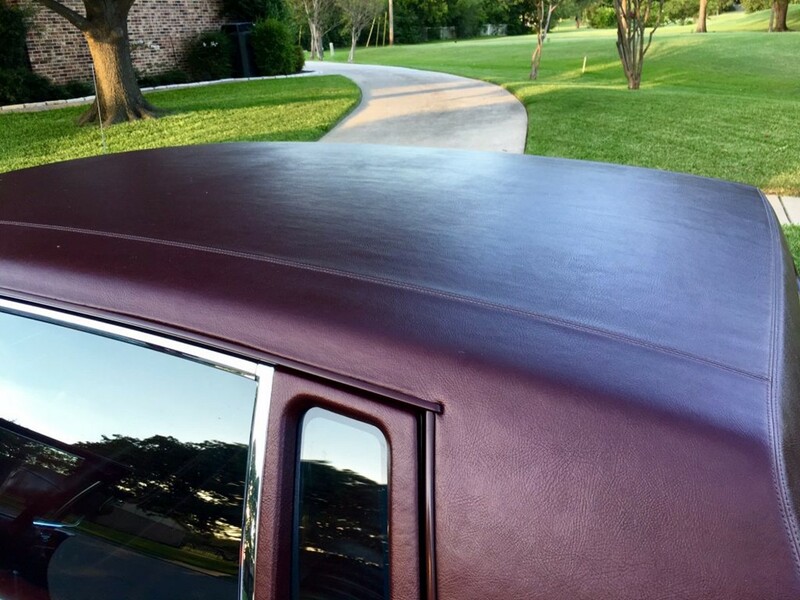 The beveled trunk lid and wide bumper impact strip completes that rare synthesis of character associated with the brand. 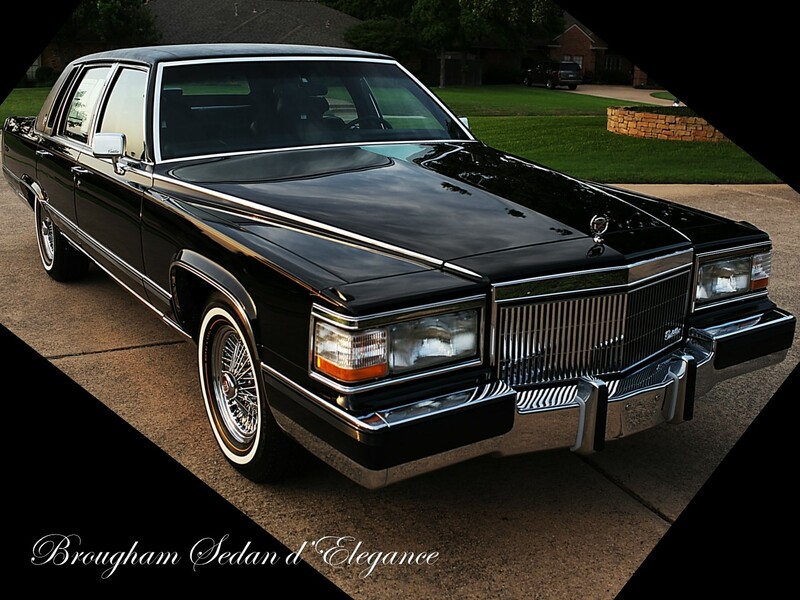 The 1991 Brougham Sedan d’Elegance is the type of automotive opulence one had come to expect from Cadillac. 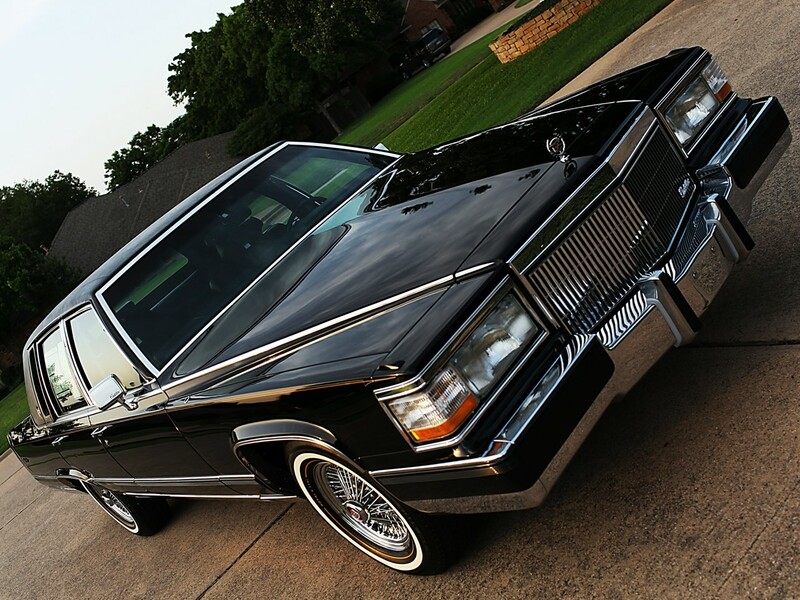 It’s Brougham’s sheer size and stature that makes it an ideal luxury sedan. 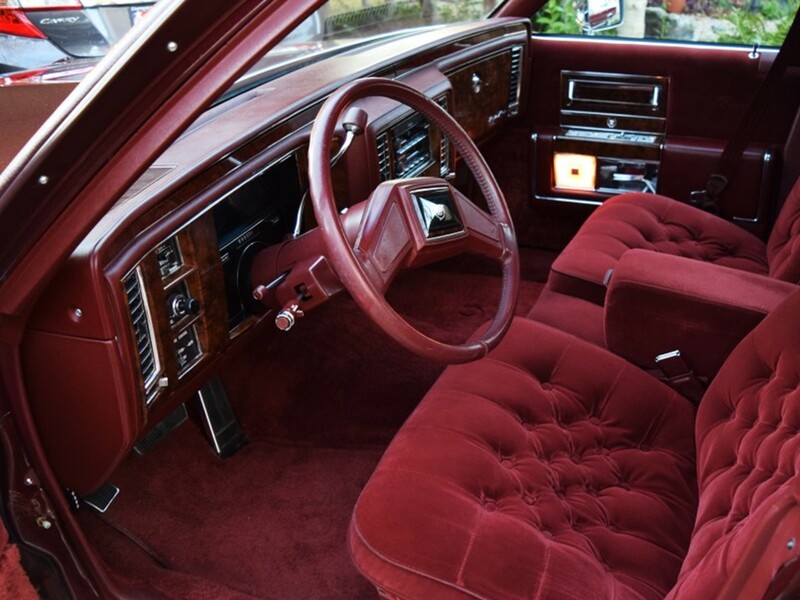 Eminence in a motorcar such as this no longer exists in domestic automobiles. Its grandeur is exploited by a lavishly appointed interior. 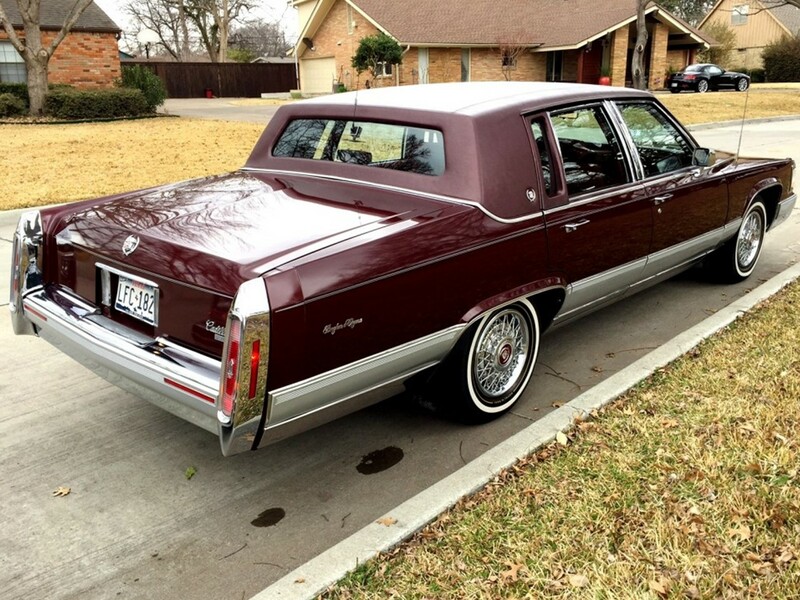 Standard Brougham luxury is Cadillac-Style. 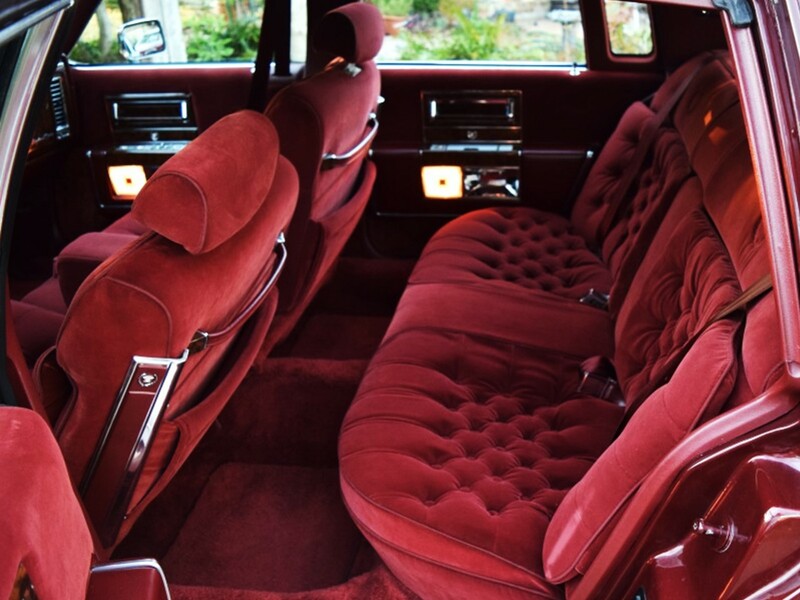 Add the d’Elegance option and it becomes your personal limousine. 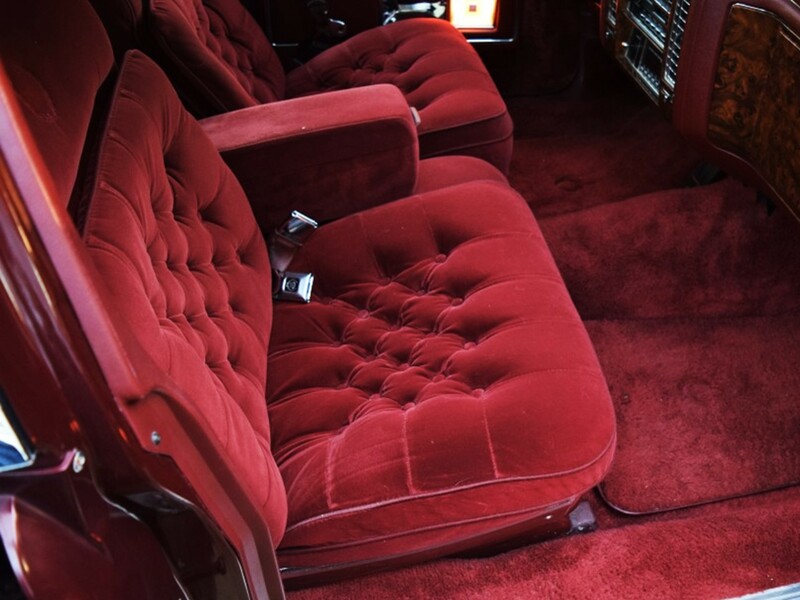 Tasteful hand button-tufted pillow style lounge seating has all the comforts of home. 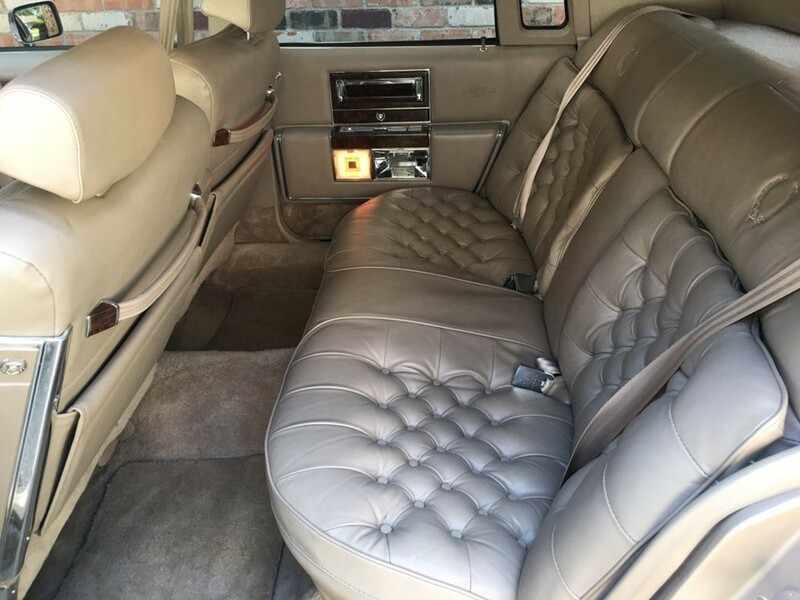 Whether trimmed in glove soft leather or luxuriously textured cloth, the Cadillac Brougham Sedan d’Elegance affords one uncompromising six passenger convenience in the grand Cadillac manner. 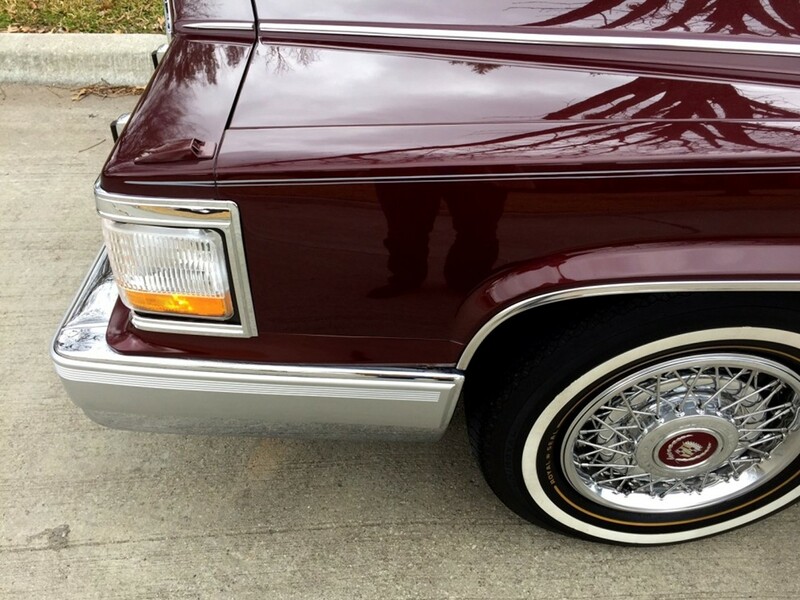 Cadillac Brougham sedans for the 1991 model year offer a superb blend of comfort and convenience. 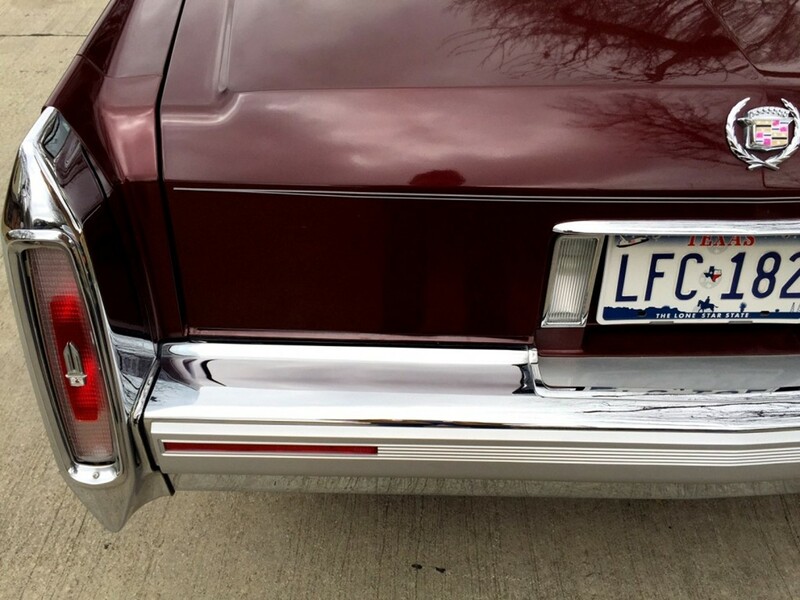 They are equipped in the legendary Brougham manner. Power windows and automatic power door locks with central locking feature are standard for extra security. 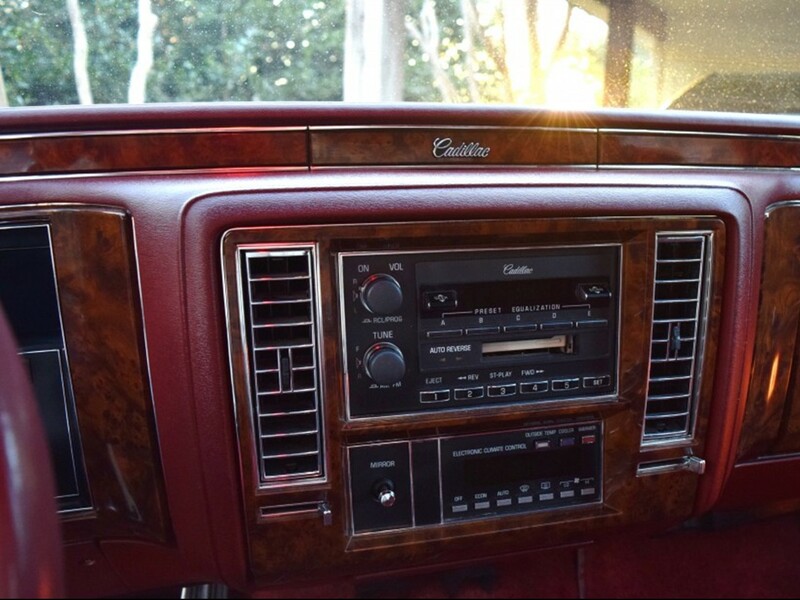 Automatic Climate Control maintains cabin temperature year round. Once set, no further intervention is required. Illuminated Entry System and Twilight Sentinel automatic headlamp control aids night driving with an added peace of mind. Front seat occupants can adjust the 6-way power dual comfort lounge seats independently. 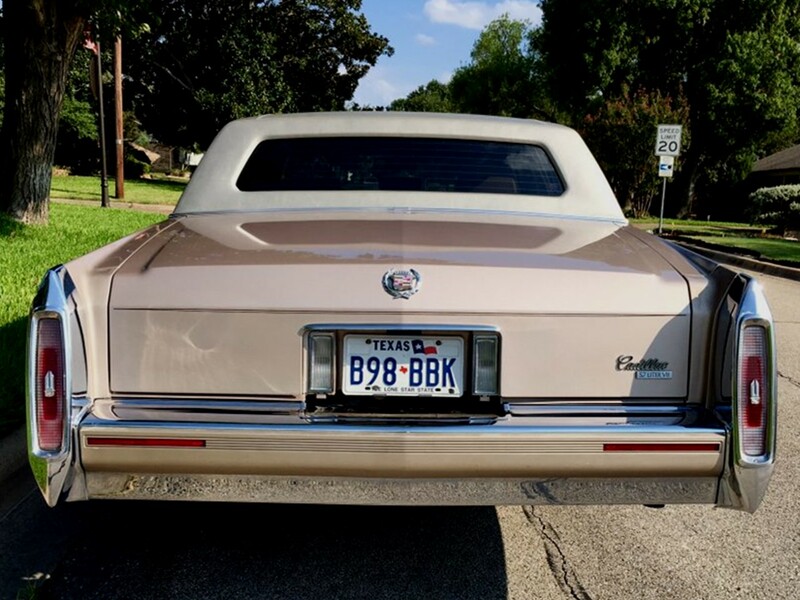 All-new Electronic Variable Assist Power Steering and improved suspension refinement fine tunes the Cadillac “Magic Carpet” ride making even boulevard travel less intrusive. 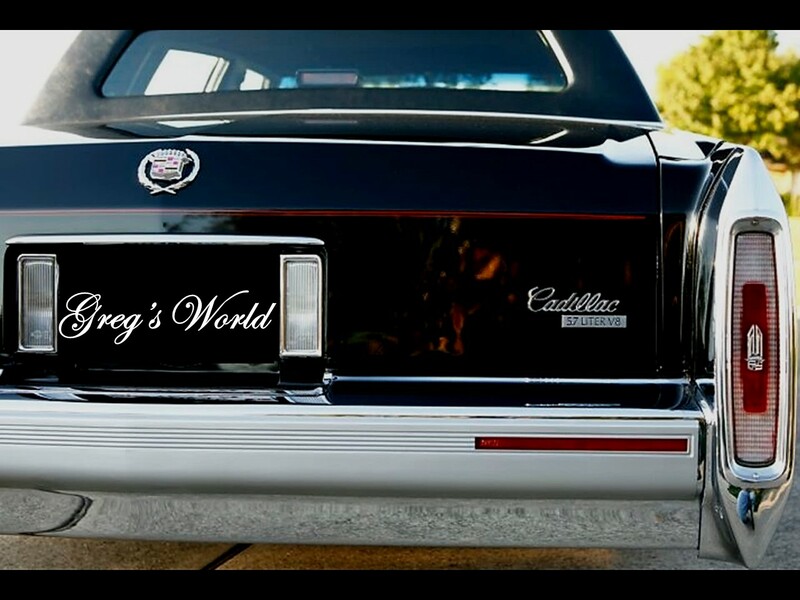 The Cadillac Brougham Sedan d’Elegance makes the journey as rewarding as the destination. 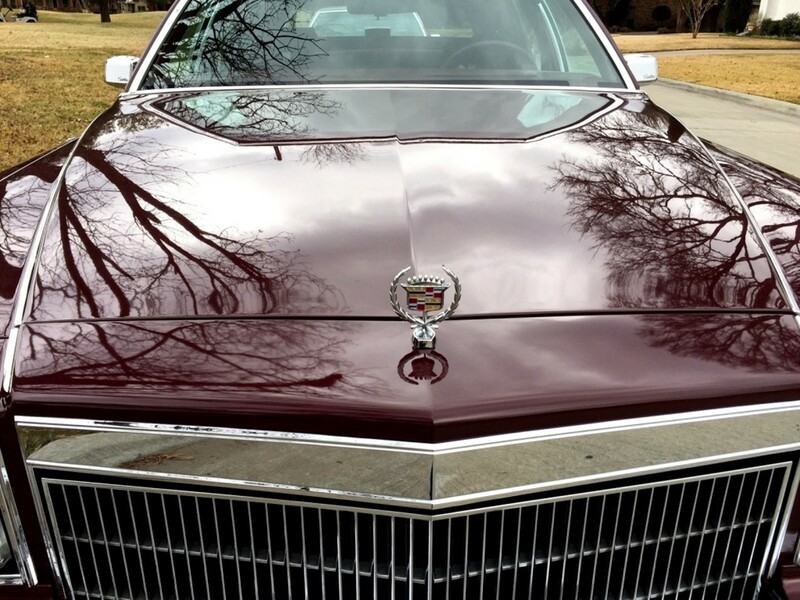 The ride…definitely Cadillac-Style. 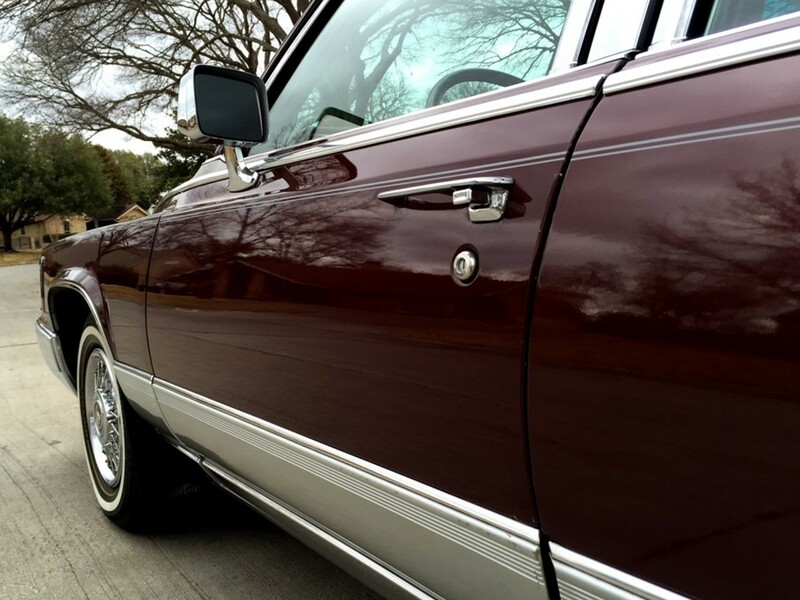 A traditional luxury sedan should provide a ride befitting a flagship. Its front engine rear-wheel drive configuration maintains weight distribution resulting in optimal overall operational stability and traction. 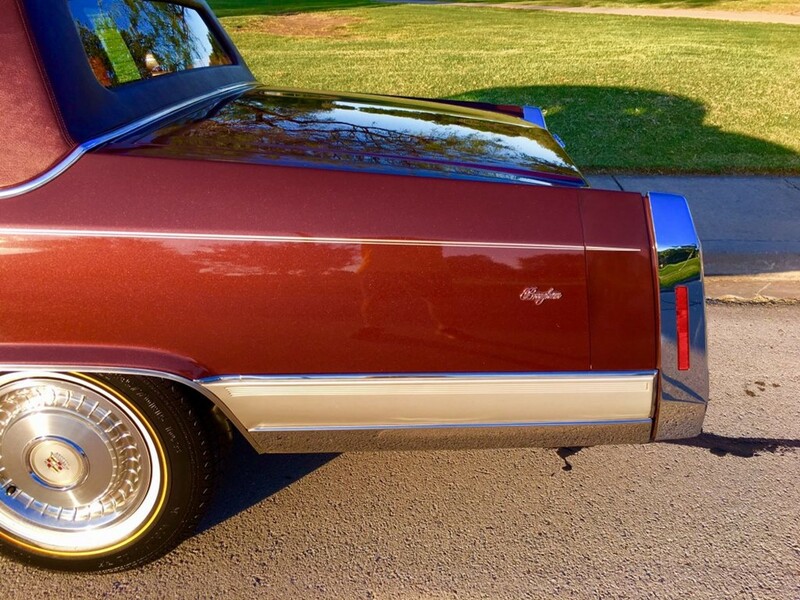 Body on frame construction, standard Cadillac Electronic Level control, and Electronic Variable Orifice (EVO) power assisted steering, all network together for the legendary Magic Carpet ride. 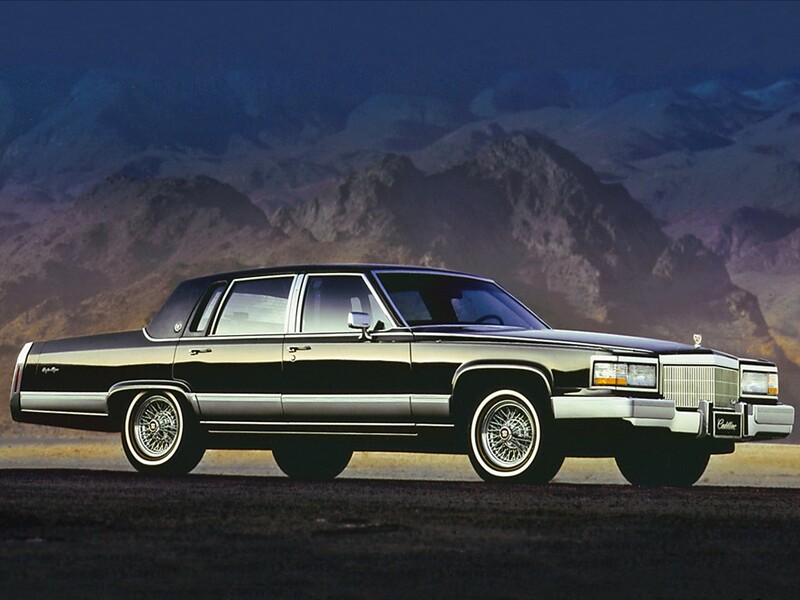 The assurance of Bosch II anti-lock brakes is a standard integral component for Cadillac Brougham’s active safety system. 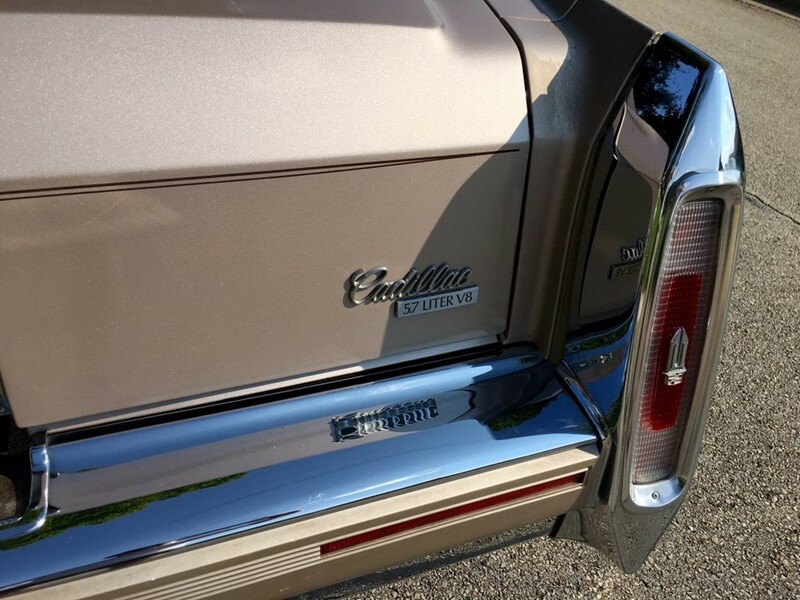 Cadillac Brougham is powered as a traditional luxury sedan should be. V8 power is imperative to a car of its stature. A 5.0 litre 16-valve 305 CID naturally aspirated small block V8 with Throttle-body Injection is the standard powerplant. It cranks 170 hp @ 4,400 rpm with 346 Nm of peak torque @ 2,400 rpm. 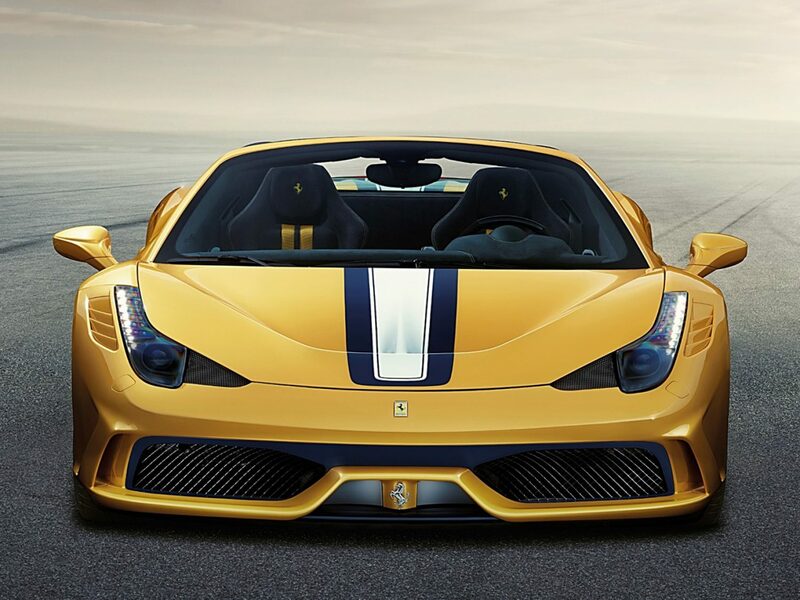 Longitudinal acceleration is rated as 0-60 mph in 11.4 seconds with a top speed in the 115 mph range. It can do the ¼ mile @ 76 mph in 18.2 seconds. The optional 5.7 litre 16-valve 350 CID naturally aspirated V8 with Throttle-body fuel injection delivers spirited performance with an excellent power to weight ratio. It produces 185 hp @ 3,800 rpm with 407 Nm of peak torque @ 2,400 rpm. Longitudinal acceleration is rated as 0-60 mph in 10.1 seconds with a top speed in the 118 mph. It can do the ¼ mile @ 78 mph in 17.5 seconds. Both engines are mated to the GM Turbo-Hydramatic THM 700-R4 (4L60) 4-speed automatic transmission with overdrive and torque converter clutch. 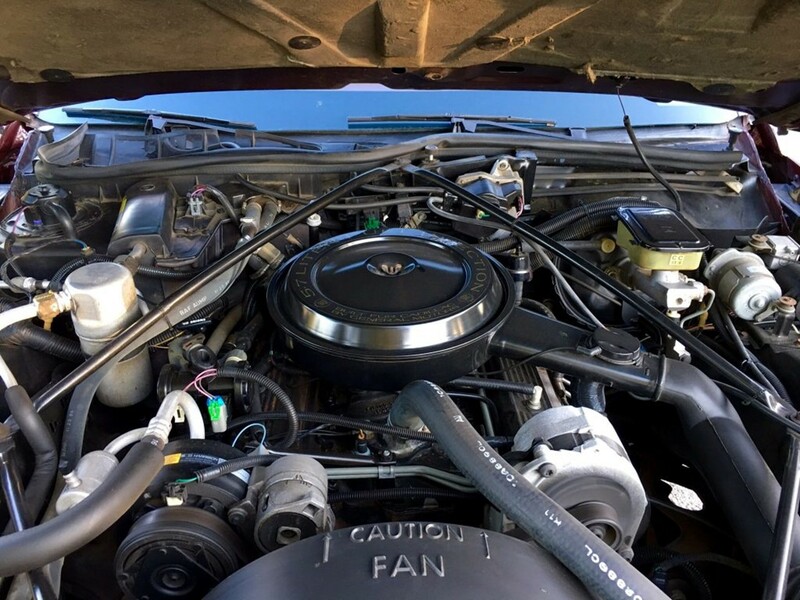 These engine/transmission combinations provide ample performance with impressive fuel economy. 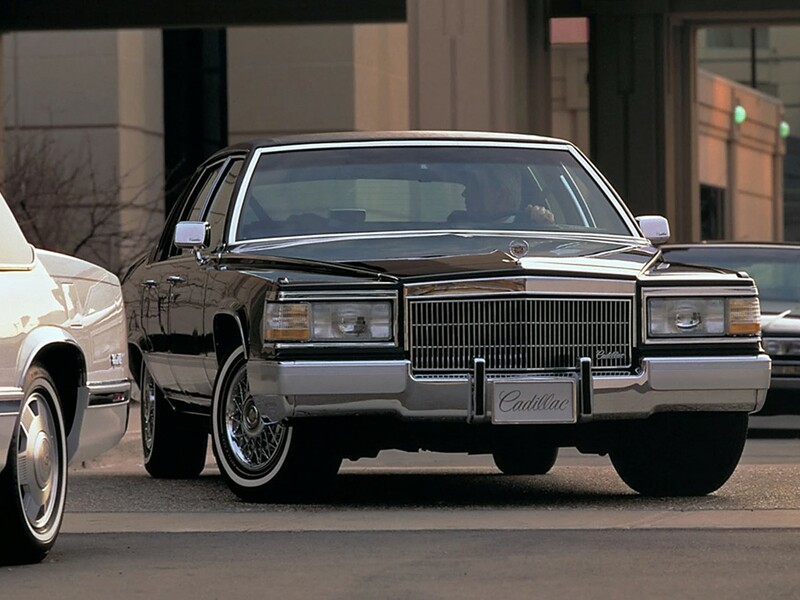 The 1991 Cadillac Brougham was the first choice among custom coachbuilders to handcraft stretch limousines and professional vehicles of distinction. This example is built by Armbruster Stageway Coachbuilders. The satisfaction of ownership outweighs the price of a gallon of petrol. 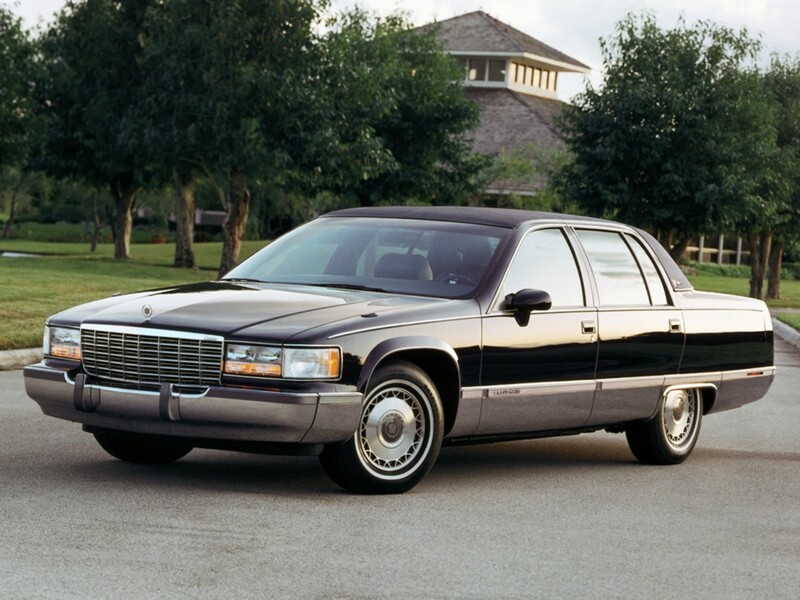 The 1990 – 1992 Cadillac Broughams are capable of outstanding fuel economy for automobiles of their sheer size and weight. Many of these magnificent motorcars are still in service. 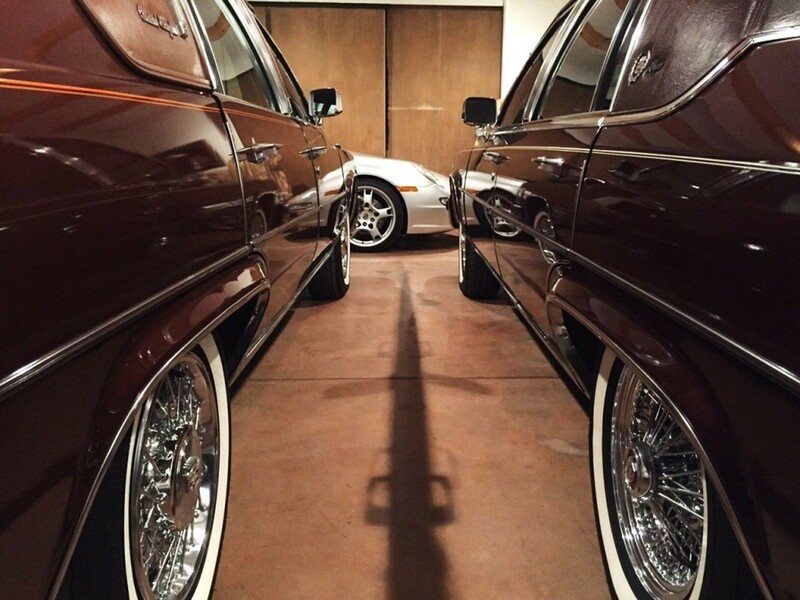 Some owners have restored their cars to better than original condition. 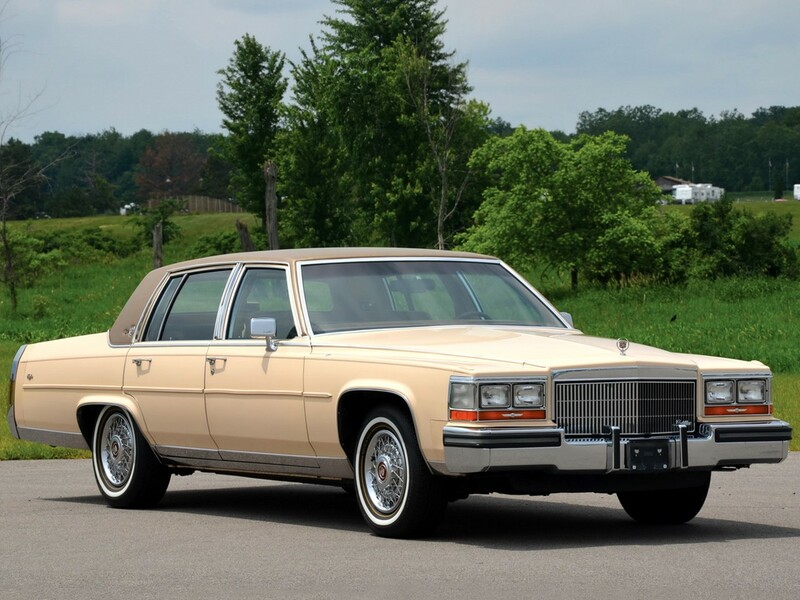 The spacious six passenger luxury and power in reserve are two of Cadillac Brougham’s major strengths which entices enthusiasts world-wide.